In the automotive aftermarket, an internal digital marketing team is faced with the challenge of differentiating its company’s services and strengthening the recognition of the larger brand among an ever-growing number of competitors at the same time. Naturally, many in-house teams utilize the marketing services of outside companies to get the job done. I often look to our third-party collaborators for more niche skills such as animation, programming, graphic design, data research, and cross-platform advertising specialists. However, there is an art involved in developing a potential outside firm into a full partner to meet and surpass your company’s marketing objectives. With Cottman’s third-party marketing and digital colleagues, I’ve found the most meaningful relationships result from aiming to create a partnership, not simply a vendor or supplier contract. Aftermarket vendors are essential in ensuring a car care or maintenance shop has the tools and supplies necessary to deliver high-quality services. But, within the marketing efforts for those services, marketing professionals are often seeking a deeper relationship with outside marketing specialists, and those businesses often pride themselves on being more than a vendor to their clients as well. My goal is to find a partner who becomes embedded in Cottman’s marketing efforts. The skills and services a partner brings to the table are just one part of their larger function on the team. At Cottman, my focus is on the digital side of marketing and we depend on our partners for everything from animation to web design. Our partners supply us with the creative skills needed to accomplish our marketing goals, but they also grow to become trusted partners and in some cases, an advisory role to provide unmatched customer service and professional recommendations. The skills a digital marketing partner provides are often only one component of a larger, broader relationship. While many vendors may provide exemplary services or products, if they fall short of a collaborative partnering role within the Cottman team, we often end up looking elsewhere for a more meaningful digital relationship. So your marketing team wants a partner, not a vendor—how do you achieve that distinction? First, examine your internal corporate culture and the makeup and values of your team. Establishing a true marketing partnership with a third party requires compatibility and clarity of roles and responsibilities. At Cottman, we seek out partners who offer strategy and vision that complement our larger business goals. 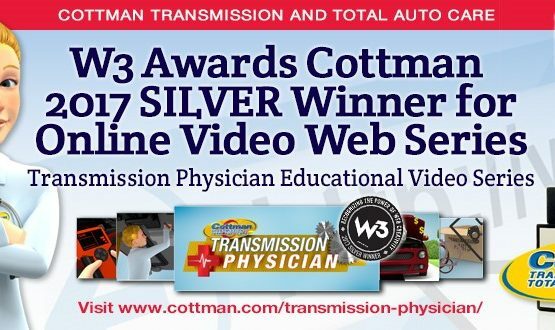 Our most recent marketing success, an animated car expert named the “Transmission Physician,” was the result of a variety of successful marketing partnerships rooted in our partners’ understanding of Cottman’s core marketing goals for the character. We wouldn’t have been able to launch the Transmission Physician into the world without marketing partners who were on board with the project’s objectives. When we search for marketing partners, we start with a thorough walk-through of the outside firm’s process and commitment to our brand. We meet the team, we talk through eventualities such as what happens in the case of a shift of internal needs or deadlines, and we determine that this is a partnership we can rely on through the long and sometimes rocky road of bringing a marketing concept to final launch. A potential partner can win us over by being clear and upfront about their brand, their abilities and their bandwidth for focusing on Cottman’s marketing needs. An initial indication that a relationship has the potential to grow into something more gives a prospective marketing specialist an edge over the competition. Clarity in expectations is the best way to begin any relationship with an outside company, and consistency in that communication can help it blossom. From a marketing perspective, our first concern is that the services we pay a creative partner for are exceptional and delivered on deadline. But in addition, I’m looking for a partner who has a sixth sense for Cottman’s broader business and prioritizes our needs and requests. As those foundational elements grow, I often find myself turning to these partners for their thoughts and opinions on narrative strategy and leaning on their digital expertise. 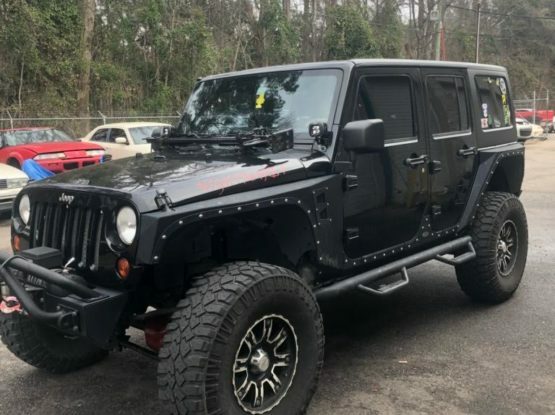 No one knows it all, and over time, I appreciate a partner who demonstrates an innate understanding of the aftermarket industry but especially of Cottman’s niche and the larger direction of our marketing and growth goals. If a partner fails to show long-term added value in our holistic marketing process, I come to think of them as a vendor once more, rather than a partner, and I will likely begin looking for other creative companies to fill the role of a true collaborative partner. 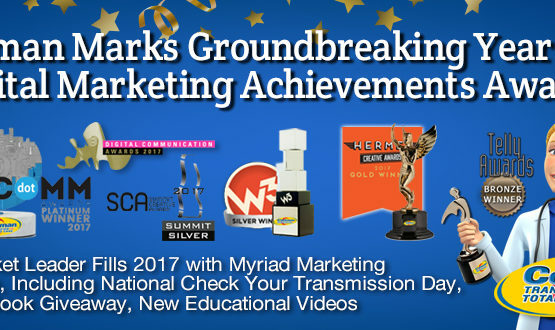 In the aftermarket industry, effective marketing often lives or dies on establishing a winning team, both in-house and with outside companies. Choosing a partner rather than settling for a vendor on creative endeavors is the key to building that relationship into a partnership meant to last.